HORRY COUNTY, SC (WMBF) - The National Fire Protection Association and Occupational Safety & Health Administration allow new Horry County firefighters and some volunteers who just graduated to get some extra training in order to be ready for any situation in the real world. They're making sure they're prepared for the absolute worst-case scenario. Horry County Fire Rescue is in the middle of their annual recertifications. Firefighters say the worst of the fire threats here in Horry County start up in January. Everyone from veteran firefighters to fresh graduates have been participating in these training burns for a week now to make sure everyone is up to speed. They have to do them to maintain compliance with federal guidelines. It allows new firefighters and some volunteers who just graduated to get some extra training. And it allows firefighters looking to advance their careers a chance to practice in those advanced positions before actually being promoted. 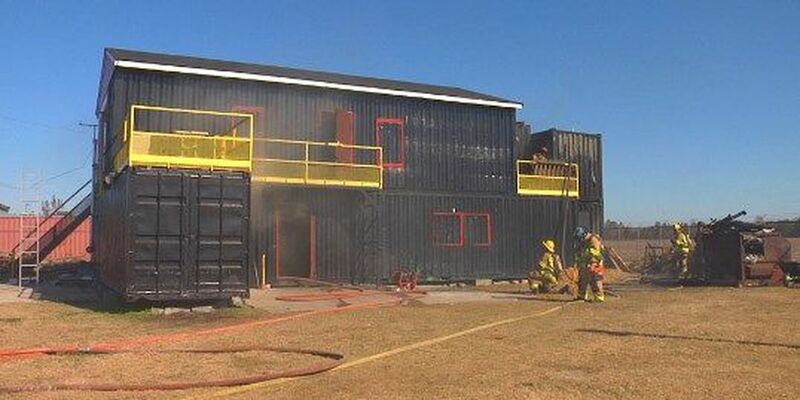 WMBF News was at one of the practice burns at the training academy's burn building. That's when the crew was focusing on residential structure fires. They simulated fires on two floors. So they had to put the first fire out then get up to the second floor and put the second one out. They also simulated the possibility of people trapped and had to do a rapid search for victims. "Coming out here in a controlled environment, gives us a chance to practice the techniques that we've learned in school and to try new techniques that have cone out in the fire service to work on them in a controlled environment. So that when we have to do it in the real world, we already have practiced it and we know what to do," says Captain Matthew Rice, HCFR station 40. Among firefighters, rolling up on a fire is always described as controlled chaos. So doing this annual training helps everyone practice so they're clear on their roles. That's the only way they can make sure they're ready to save you in an emergency. Last week Horry County Fire Rescue did the recertification training with all their rural departments. Then after Thanksgiving they'll start the training with their beach departments. The department is also in need of more volunteers for everything from administrative work to firefighters. It's a constant effort to try and keep their volunteer ranks up. The problem is a lot of the people who become volunteer firefighters, the department will then promote them to full-time. Not a bad problem to have, except they are constantly having to restock their volunteer forces. Horry County Fire Rescue Battalion Chief Brian VanAernam ways it's tough to get volunteers in the first place, because it's a two-income world. So these volunteers are trying to balance working the firehouse and their regular jobs. And it's really time consuming. Up front, they go through all the same training that the career firefighter do, because of federal regulations. They just had one recruit class graduate. They are now out in the field being mentored, and in a few months they will be released to real fire fighting. There are two more volunteer recruit classes going on right now with about 35 people. But they're constantly accepting applications. And right now they're building a class for February.